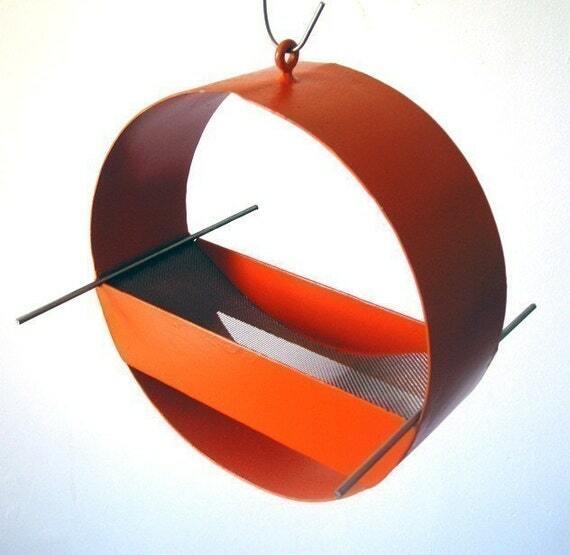 Form meets function with this eye catching steel bird feeder, found on Etsy and created by Joe Papendick. As we start dreaming of our outdoor spaces and getting into the warmer temperatures, don't forget that design is all in the details. Many more homes are incorporating outdoor living spaces into their overall home decor, so why not add a funky bird feeder like the Charm Modern Bird Feeder by Joe Papendick? Orange not your color? Not to worry! Joe has a variety offered in his shop that are sure to compliment your garden and style. What type of Etsy find would YOU be interested in seeing here on the blog? Leave me a note in the comments section and I will search for ideas!